As with any such testimonial, I must first admit: I'm a cookie-holic. I know I have a problem. Put a cookie in front of me and glance away. Turn back to see me, mouth full with a "what cookie? I didn't see any cookie..." look on my face. Crunch. Chew. Gulp. Ahh. It was worth it. Also, I am not of such an age or genetic disposition that I can eat just anything and still use the normal notches on my favorite belt. Therefore, as with any addict, I must create strict rules regarding my cookie consumption, which are the very same I have applied to this search for a better Bay Area cookie. First, the treat in question must be more than just a sugar delivery system. I am thinking here most specifically about Mrs. Fields and others that follow that paradigm (Specialty's, for example). I do not know what Debbi Fields' cookies were like when she opened her first store in 1977 Palo Alto, but after the franchise grew, these cookies became large, gooey and especially sweet. Given the endurance and popularity of the brand, this is the kind of cookie most people imagine when they feel the urge. In my humble opinion, these cookies are too much -- too large and too sugary. Since I am an addict, I have to be careful. I am looking less for sweetness and more for delicacy. Therefore my second criterion is specialness; I want the cookie to be something unique. Given the Bay Area's enduring love affair with food, this isn't hard to find. 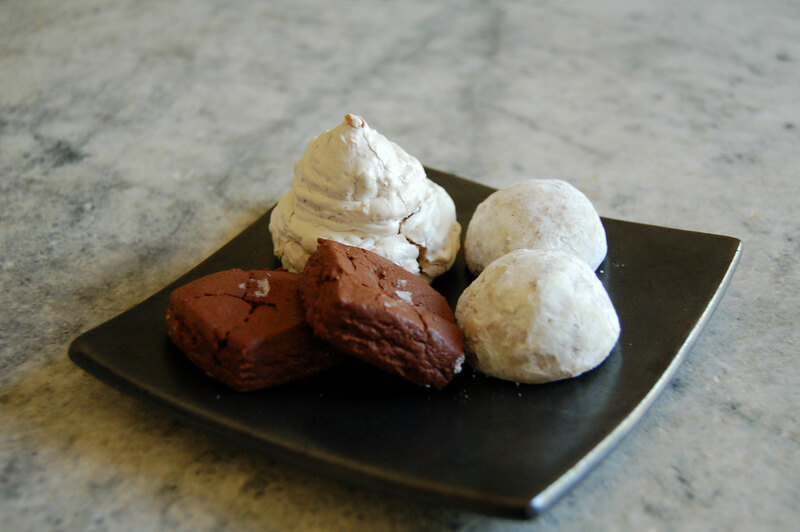 It is not unusual for our local pastry chefs to turn sugar, butter and flour into bite-sized treats proudly labeled "local." These are the cookies that feed my addiction. These are the cookies featured in this post. One final bit of business must round out this preamble. Even though it took more than a month for me to research and explore various bakeries and pastry shops in the Bay Area, there is no way I could be comprehensive. The more I discovered, the more vast the field became. Cookies are a constellation and I have only been able to discover some of its brighter stars. Please share your recommendations in the comments section below. I have no trouble committing now to gobbling my way through dozens more cookies in search of those special few for part two. Next I visited Greg and Christine Mindel's Neighbor Bakehouse in San Francisco's Dogpatch on Third Street. As with most great food experiences in the city, I knew this place had opened when a long line began forming outside on the regular in 2016. This is just a normal part of city living; anything good is worth waiting for. So I put on my sunscreen and stood in line. But once inside, I was met with a phantasmagoria of delicious baked treats, most of them savory. I bought a loaf of bread and a Ginger Pull-Apart because... Well, the reasons should be obvious. But the cookie selection was minimal. If you are going to Neighbor Bakehouse, you will probably spend the calories on an Apple Hand Pie or Pistachio Blackberry Twice Baked. I soon discovered that the bakery specializes in subtlety. 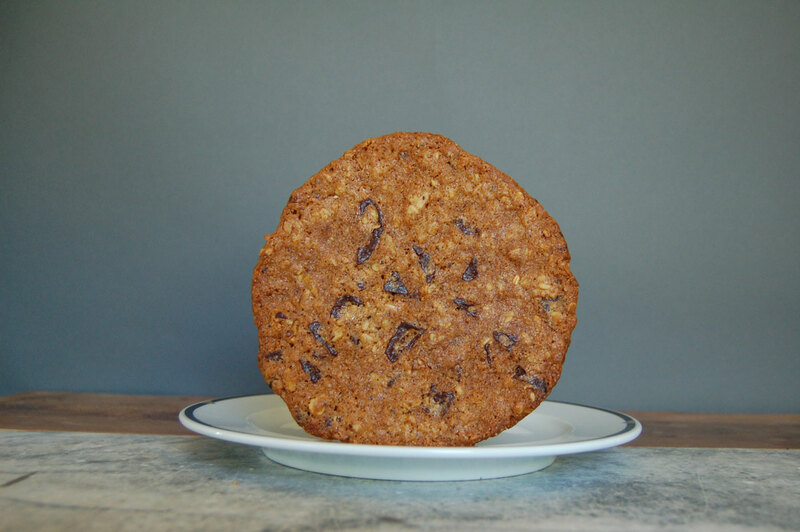 The Oat Pecan Coconut Chocolate cookie was big and broad, crisp on the edges with a soft center, but the flavors were mild. The cookie was a little too subdued for my tastes. However, the Passion Fruit Macaroon was truly unique. It presented as the Platonic version of a macaroon, what the domed and caramelized cookie must look like in the world of ideal forms. 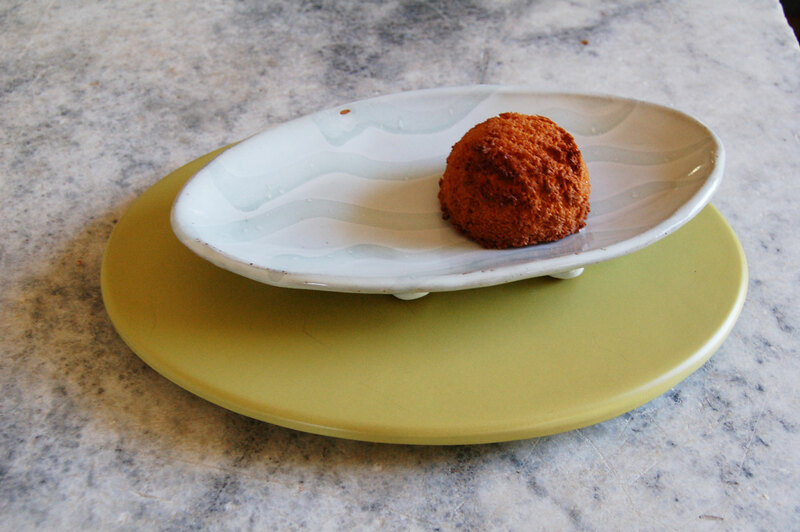 The coconut was deprecated in both flavor and texture, leaving an afterglow of passion fruit in the mouth that lasted long after all hints of the cookie had drifted into history. Sigh. Next I took a trip to Matt Kreutz's Firebrand Artisan Breads on Broadway in Oakland, where I encountered one of my favorite Bay Area cookies. Naturally, since this has been Kreutz's specialty since 2008, the breads are amazing. You will probably need to get a loaf to go. But the cookies are pretty special too, reflecting an elevated level of craftsmanship. Each one is an experience, each cookie unique. All are sizable, spanning the palm of my hand. I got one of each flavor, tasted each one immediately and then doled out my precious stash over the next day or so. The Salted Chocolate Chip boasts a generous portion of bittersweet chocolate chips or chunks for its volume, topped by large crystal flakes of sea salt. Put the salt side of the cookie on your tongue to enhance the chocolate jolt. The Oatmeal cookie crumbles in your mouth. It's so delicate that it sort of falls apart and rebuilds itself as a flavor package of warm roasted oats and finely chopped nuts while you chew. Of all the oatmeal cookies I tasted, this was one of the oatiest. The Molasses Ginger cookie was tender and cakey. It looked like the face of Mars, canals made of molasses, brown sugar and butter with a dusting of sugar crystals gleaming on its surface. It's telling that this is a Molasses Ginger rather than a Ginger Molasses because that does indeed reflect the hierarchy of featured flavors. But the standout cookie in the bunch was the Lemon Lavender. It's the one you won't mind loosening the belt for. Have two! Starting with a whisper-perfect lemon yellow hue and a halo of lacy caramelization around the perimeter, the cookie starts with a crispy snap and then delivers a rush of juicy lemon tang in the long finish. It’s fragrantly amazing, like lemon blossoms in spring married with summer’s heady lavender. It's like a cookie version of Shaker Lemon Pie, which is made by slicing whole lemons (rind, pith and fruit) paper thin and baking them in a tender pastry that satisfies every lemon lover’s desire. Yum. Speaking of Oakland, whenever I have the chance I stand in line at the corner of Telegraph and 51st for Bakesale Betty's famous fried chicken sandwich with jalapeno slaw. 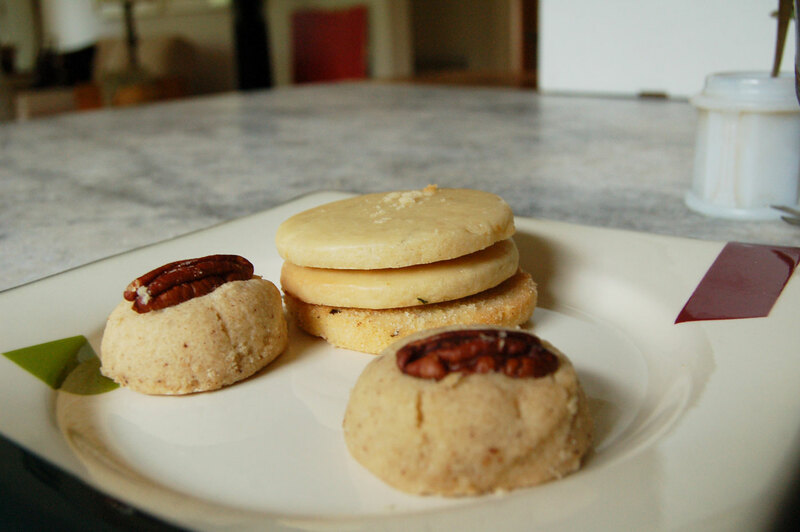 I am always sure to take a pair of the Pecan Shortbreads home for dessert. They are substantial enough to share, perfectly tender with rough-cut pecans folded throughout. I love the way this cookie crumbles in my mouth, delivering toasty pecan chunks and buttery shortbread morsels that make merry between the teeth. Go for the sandwich. Leave with the cookie. Now that I have mentioned Butter Pecan, I have to go back across the bay and out to Hunter's Point for a butter cookie from the other side of the spectrum. Yvonne's Southern Sweets, located at Third and Shafter, is known for traditional southern fare like sweet potato pie and peach cobbler, but the business started when Yvonne Hines began making pecan pralines and sharing them with friends. This is a traditional confection from the old south, so it's a little too sweet for me. However, I love her "Ol' School" Butter Cookies. In contrast to Bakesale Betty’s big butter shortbreads, Yvonne’s bake up crisp and snappy, like a homemade version of those you might find in a Swedish tin. These are sweet, dunk-worthy biscuits that stand up to milk but then melt in the mouth. While we are on the subject of traditional recipes, MARLA Bakery on Balboa Street at 37th Avenue yields a selection of petite cookies reminiscent of those grandma, who survived the Great Depression, used to make. MARLA is an acronym for the people who inspired co-founders Amy Brown and Joe Wolf to cook, which explains this quote on the bakery's about page: "Like history, food does not spring forth from the ether. Food is always informed by what came before and is as much a product of memory as the present." This sentiment is beautifully illustrated in MARLA's cookies. They are delicious treats, not too sweet, each with a distinct personality that boasts a clarity of flavor. Every selection has the perfect chewiness, not too cakey, not too crisp. Their Chocolate Chip is all about the cocoa nibs, crunchy little nutlets of tongue tickling delight. It's interesting that the Triple Ginger is named so because, to me it rings true as full-throttle old-fashioned molasses, once again like grandma's. But MARLA’s standout is their Dark Chocolate Chunk, a super black creation packed with a powerful chocolate nose and delivering a beautiful brownie finish, all in one small unassuming cookie just bigger than an Oreo. The best way to describe the taste of the DCC is "dark." Also on the “dark” spectrum, Miette (at various locations, including Hayes Valley and the Ferry Building in SF) has a superb chocolate wafer sold in a pack of ten. Similar in flavor to MARLA's Dark Chocolate Chunk, it's crispier, while remaining surprisingly tender. All three of Miette’s wafer flavors (including ginger and graham cracker) are worthy of an addict’s late night fix. I alternate between them depending on my mood, even though it's dangerous to keep a 10-pack in the house. However, I find these cookies so satisfying, it feels plain gluttonous to eat more than two with a small glass of milk. Bernal Heights' Little Bee specializes in an assortment of diminutive cookies, all silver dollar sized. 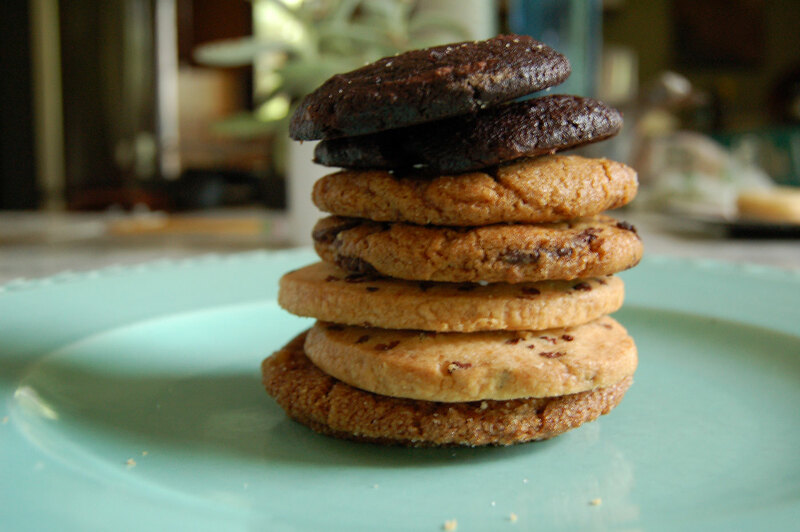 Some offerings suffer from being unfocussed flavor-wise, though the chocolate chip or oatmeal are both perfectly reasonable entries in their category. However, the Brown Butter Pecan cookie, which is in the shape of a small thumb drop with a whole pecan on top is just darling (that's a dainty yet apt word for the delicate cookie). It smells of cinnamon and has just the right crisp feel on the teeth. Little Bee's Lavender Cornmeal alone was worth the hike up Cortland. (Looks like there may sometimes be a Rosemary version as well.) A crisp, mouthy grit of cornmeal gets you going while the butter and lavender flavors come together for a strong finish. This cookie is special, I should have bought six. 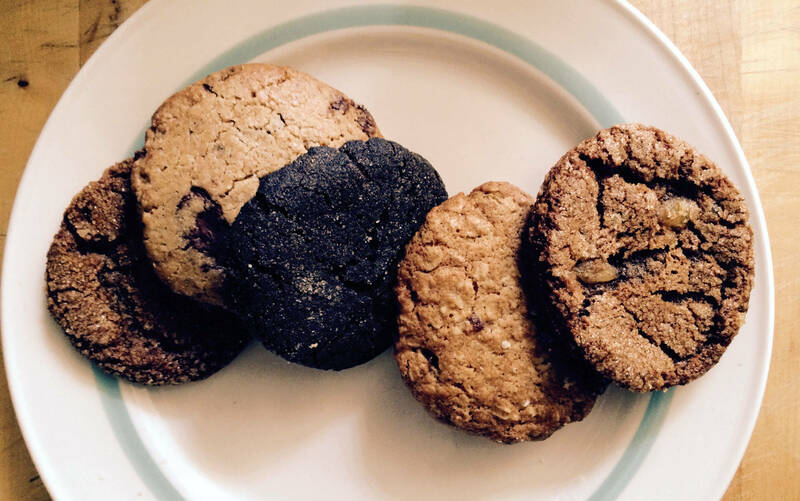 For medium-sized cookies, the kind you would bake for yourself at home, you can always stop by Anthony's Cookies on Valencia at 25th Street in San Francisco. Founded by Anthony Lucas while he was studying accounting at SF State, the business began with Lucas selling cookies out of his car and has blossomed into a permanent location on Valencia Street and a newly opened store in Berkeley. Anthony’s has a whole range of flavors, but my favorite, the one I found most distinctive, was the Cinnamon Spice. It's like a brown sugar version of a snickerdoodle. While most traditional snickerdoodles taste a little metallic to me, Anthony's has a dark rich tone with really solid spicy (hint of clove?) flavor, a crisp edge with a chewy center. Anthony's cookies are really like the ones you would make for yourself, if you knew how to bake and could find the time. Back in the land of large cookies, Jane the Bakery on Geary at Steiner in San Francisco features a collection of sizable (think hockey puck) cookies that are more like a meal than dessert. Jane the Bakery is connected to Jane on Fillmore and Jane on Larkin. I understand from Jane's website that their menu is always evolving, so it's not surprising that the cookies I tried are not listed there. I was told that the best cookie at Jane is the Chocolate Chip Toffee, which was sold out. Naturally. So I tried the Crazy Cookie because I liked the name (lacy, crunchy, toffee, marshmallow, corn flakes) and picked up a (not very spicy) Ginger, but the standout was the aptly named "Cookie for Breakfast." This was seriously a meal in cookie form. 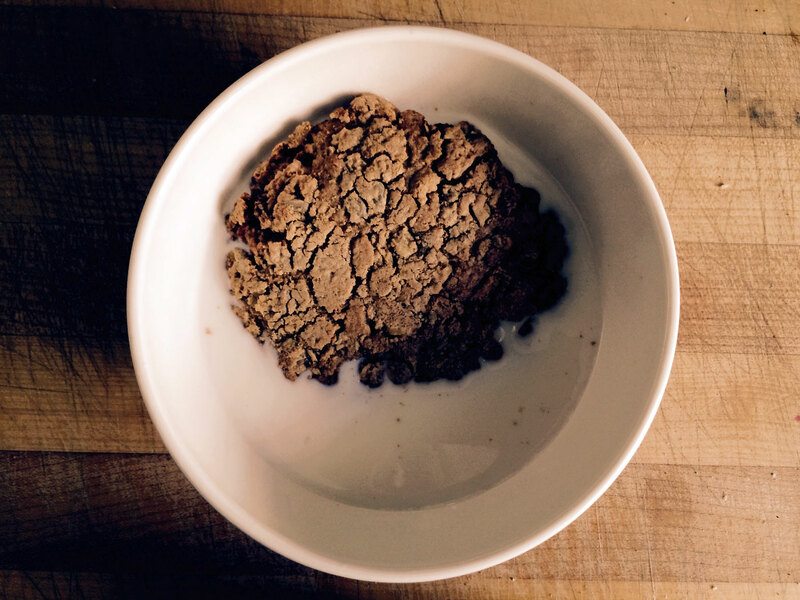 Buy one, put it in a bowl of milk and you've got oat and nut granola for breakfast. 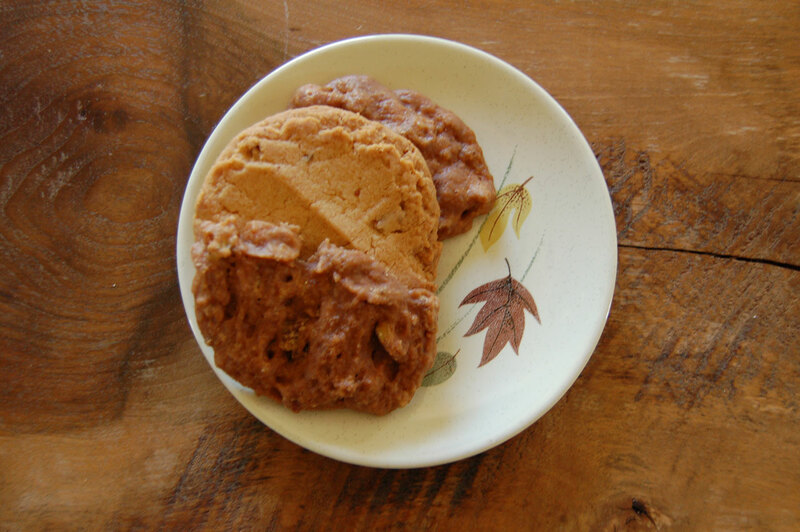 This cookie is dense with chopped nuts and chunks of tropical fruit. Seriously, it really is breakfast in a cookie just as advertised, a concept which might be Jane's specialty, since another cookie of interest there was the Cap'n Crunch Cookie. While on the topic of largeness, Berkeley's Cheese Board Collective delivers the goods. What started as a cheese shop has since become a worker-owned collective bakery and pizzeria that retains the swirl of the peasant skirt in its casual atmosphere. They feature not so much cookies as cookie slabs. These are weighty affairs that deliver in value and flavor. I picked up a Hazelnut Butter Cookie, a Double Chocolate and a Ginger. 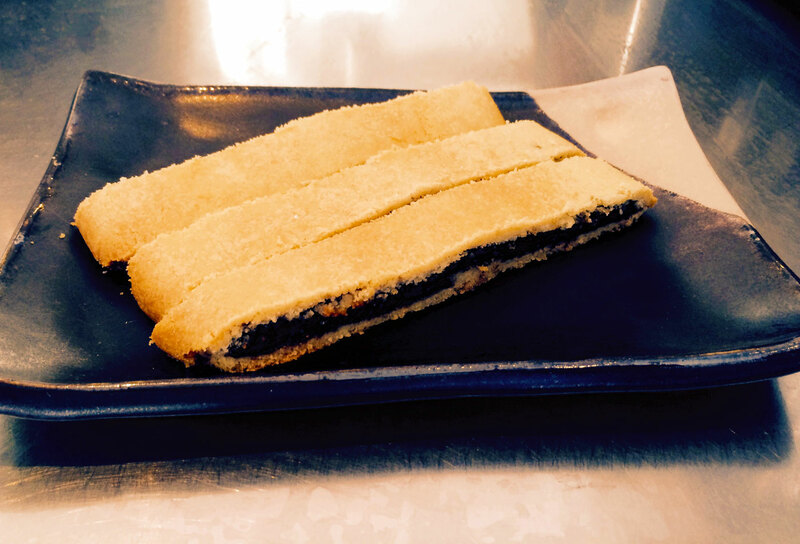 The Cheese Board's Butter Cookie is among the finest in the bay, creamy with an overwhelming nuttiness. The Ginger Cookie was super tender, crispy on the outside and gooey on the inside. It had a strong molasses nose, but the flavor didn't live up to the promise of the aroma. However, the Double Chocolate made me wonder if I needed a prescription to eat such a thing. It's appropriately heady chocolate rush gave way to substantial, melty chocolate chips that put the bitter in bittersweet. Naturally, one could not discuss Bay Area pastry without a trip to Elizabeth Prueitt and Chad Robertson's Tartine Bakery at the corner of 18th Street and Guerrero in San Francisco. (For an extended selection, visit Tartine Manufactory at Alabama and 18th, cookies become available for lunch and disappear at dinner.) Once at Tartine, I was met with the familiar 30-minute wait, again the badge of excellence for San Francisco's most popular food destinations. I've stood in this line many times before, so I knew what was waiting at the other end would be worth it. However, I have never waited for Tartine's cookies. 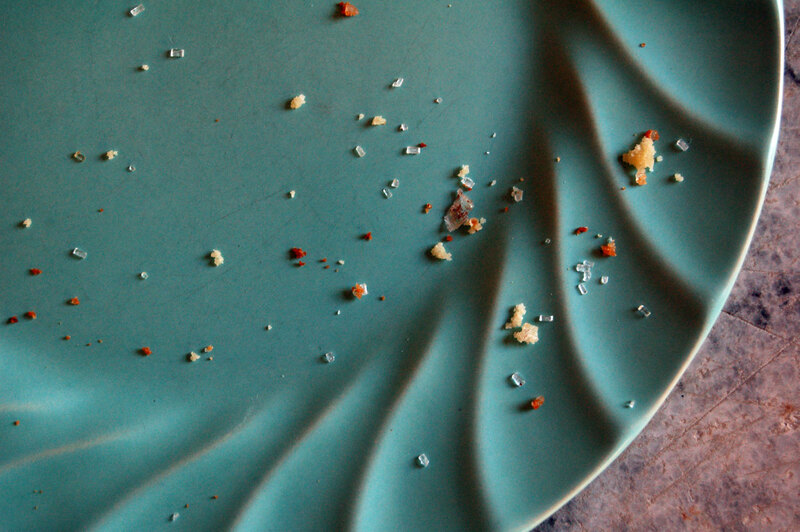 When I could get a delicious morning bun or lemon tart (two of my favorite things in the whole world), would I be wasting my day if I just walked away with cookies? Once again, this is the calculation a cookie addict must make. It might be blasphemous to say, but sometimes there are things even better than cookies. I decided on an assortment, featuring one Chocolate Chip, a Mexican Wedding cookie (I have yet to find a great Mexican bakery that specializes in cookies, empanadas -- yes, cookies -- no, please help), a Chocolate Salted Rye and a Rocher. That last I chose just because it is so bizarre looking, a Dr Seussian ecru meringue that I felt certain would be a page turner. I wasn't disappointed. I knew I wouldn't be. These fine bakers are in the business of pushing taste more than sugar. They make food experiences and every one of these cookies bathed the mouth with a distinct flavor, each quite unique, different from its shelf-mate and unlike anything found in any other area bakery. The Rocher landed me hard in a pique of nostalgia, reminiscent of the Abba Zabba candy bars of my youth, but without the risk to my dental work. It's like a white nougat, very light and nutty, with a fragile shell and pillowy center. The Chocolate Salted Rye and Mexican Wedding cookies were both superb, but the other real standout was the Chocolate Chip (Aha! ), which is a thin, lacy disc the size of an outstretched palm. I bit into it and it shattered in my mouth, delivering a complex combination of deeply roasted nuts and rich, high-end dark chocolate flavor. 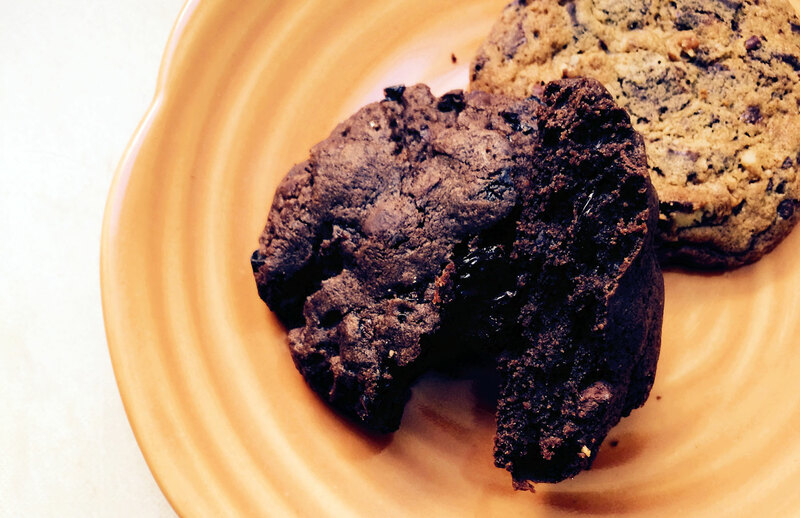 This cookie is unlike any other chocolate chip I have ever tasted. 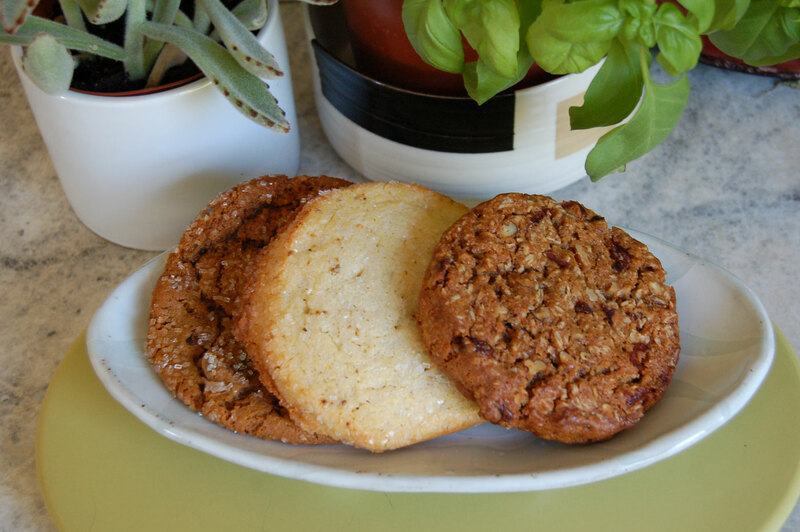 Finally, my favorite cookies in the Bay Area are regularly found at Piccino Coffee Bar, located on the side of Sher Rogat and Margherita Stewart Sagan's Piccino Pizzeria at Minnesota and 22nd Streets in San Francisco's Dogpatch. Nearly every cookie they make is special, but the highlights are a flourless (and I never eat flourless) Chocolate Spice Cookie that delivers a prickly chili kick atop its bittersweet chocolate body and a 50¢-piece-sized Ginger Cookie worth every penny of it’s $1.25 price. But mostly I hit up Piccino for their signature Fig Newton. It seems no one else in the area makes one, so that's a bonus. This cookie is indeed tender, cakey, golden and flaky outside, ooey, gooey, rich and chewy inside. And we all know what happens when you wrap the inside in the outside! 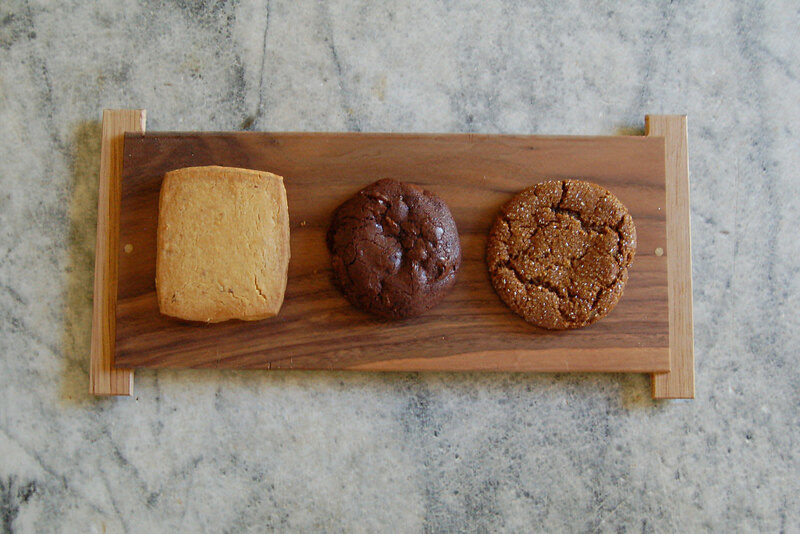 Like Tartine, the cookies at Piccino are distinctive, each with flavors that express the details and refinement of their baker. I love this approach because one or two cookies truly satisfies my addict's cravings and there really is no need or desire to eat more. Good for the belt! Addendum: While I am always up for a Piccino Fig Newton, if you arrive and they have made canelle, all too rare these days, abandon your cookie plans and just get one. Like I said, even for a cookie-holic, there are sometimes things more satisfying than cookies. It was a tough job, but truly someone had to do it.